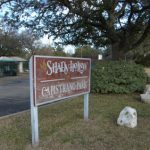 Located on Brodie Lane south of Slaughter Lane, Shady Hollow has been a favorite neighborhood in the Southwest Austin area since the late 1970’s and early 1980’s. In the beginning the neighborhood was a good distance outside of the city and provided residents a choice selection of spacious, tree covered home sites with grand homes. Residents had the luxury of country living while the city was a short commute away. Shady Hollow Austin, Texas Shady Hollow RoadwayShady Hollow has grown in many directions, but has retained the quality of lifestyle and the beauty of spacious lots and well appointed homes. Shady Hollow still offers buyers a choice as each of the different communities maintains a unique style of its own. 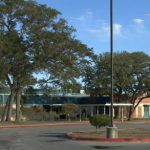 While there are excellent neighborhood schools, Shady Hollow students are located in the Austin Independent School District and should contact AISD for more information and exact boundaries pertaining to their property. Residents of Shady Hollow have access to many neighborhood amenities. 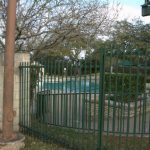 Some of these are access to parks, nature trails, playscapes, tennis and basketball courts, a swimming pool, a clubhouse and other activities for residents to enjoy. No longer far outside the city of Austin, residents of Shady Hollow can not only take advantage all of the local shopping and dining venues that have become part of the Southwest Austin arena, but have access to all of the upscale, diverse and eclectic shopping, dining and entertainment of the Austin Metro area. 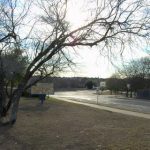 Contact John Pickens 512-750-3668 for more information about Real Estate in Shady Hollow.